Despite the hopes, excitement and expectation, a mixture of naivety and youthful exuberance means the first foray into CRM is unlikely to stand the test of time. Just like your first love. According to a 2013 survey by Merkle Group Inc, a business’ first CRM deployment is more likely to fail than succeed – with 63% of CRM initiatives failing. The reality is that first time around mistakes will be made, and the results may be less satisfying than expected. Let’s be honest, with the first CRM deployment, no business knows exactly what to expect or where it will go in the future. Those organisations that have been burnt by their first CRM implementation often struggle to pluck up the courage to try again. But does that mean businesses should turn their back on CRM for life? No! Learning from the good and bad aspects of that first experience is the key to getting it right next time. No relationship is perfect. It takes work, commitment and dedication to get the best from both sides. There is no excuse for letting an old CRM system constrain the business or allowing the fear of trying again to hold you back. Businesses should take a step back and look at what actually worked well; learn from their mistakes; and make sure it is better second time around. Always remember: retain focus on the objectives and the reason for the original CRM investment; and gain advice as to how best to achieve that goal. 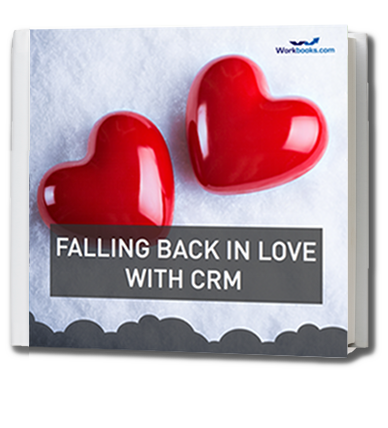 Not all relationships – or CRM solutions – can be saved. Just like your first love, the first system you buy may not stand the test of time. Organisations may struggle to walk away from that first CRM solution, but they must realise that the business has changed and grown. Like an older, more experienced lover you must learn from your mistakes and make sure it works second time around – there are plenty of other solutions to fall in love with. To find out more about why organisations should consider a new CRM system even if their first CRM project failed, download our latest eBook by clicking on the button below.